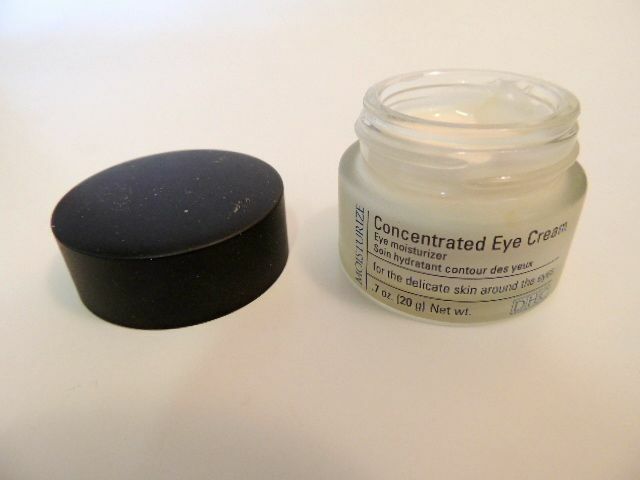 DHC Concentrated Eye Cream - Eye Moisturizer - Give Me Gorgeous! An effective eye area moisturizer, this one is geared particularly to moisturize the delicate skin of the eye area. Packaged in a small, opaque jar with a lid that screws on. The cream is thick to the touch, but easily melts into the skin and absorbs quickly – it will work great for those with sensitive skin. Its also not too heavy to wear under makeup during the day. It smells a little like herbs but any odor quickly dissipates after being applied.The ingredients of horse chestnut, ginseng and rosemary work to lighten dark circles under the eye while olive oil softens and vitamin E provides antioxidants. I found this product on a search for a new eye moisturizer that used natural ingredients – and that others felt was highly effective, to add it to my evening skin care regime. This one got great online reviews and brought the DHC product line to my attention. DHC offers a full range of skin care options, hair care, as well as cosmetics. My skin is soothed and moisturized during the night when I use this cream.